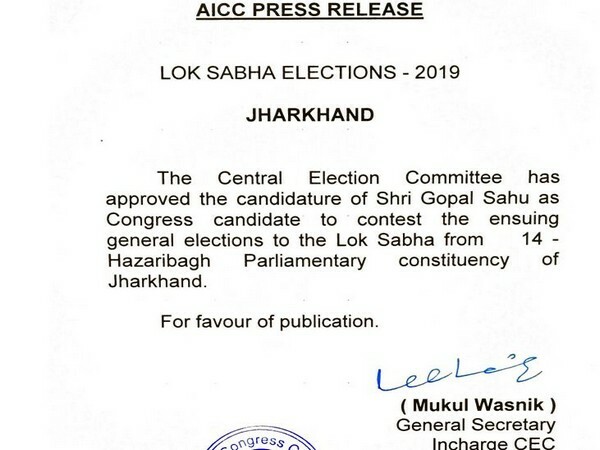 The Indian National Congress on Monday announced Gopal Sahu as Congress candidate for Lok Sabha Elections 2019 from Hazaribagh, Jharkhand. Hazaribagh Lok Sabha Seat is currently held by Bharatiya Janta Party MP Jayant Singh. Gopal Sahu in a run-up to the mega polls 2019 will take on BJP’s Jayant Singh and CPI Candidate Bhubneshwar Prasad Mehta. 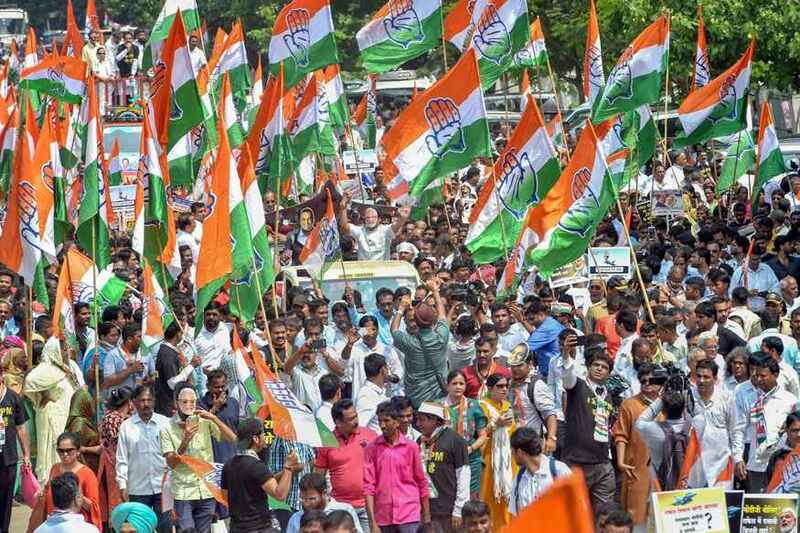 With this, Congress has now named Candidates 401 Parliamentary seats with Geeta Kora from Singhbhum ST, Sukhdeo Bhagat from Lohardaga ST, Manoj Kumar Yadav from Chatra, among others. Apart from this, the Congress President will also contest from Wayanad Lok Sabha Seat in Kerela. Congress in a run-up to the polls 2019 has forged an alliance with Jharkhand Mukti Morcha, Jharkhand Vikas Morcha and RJD in Jharkhand. Noteworthy, Hemant Soren’s JMM has also stitched Alliance with Congress in Odisha for Lok Sabha Polls and State Polls that are slated to be clubbed together. 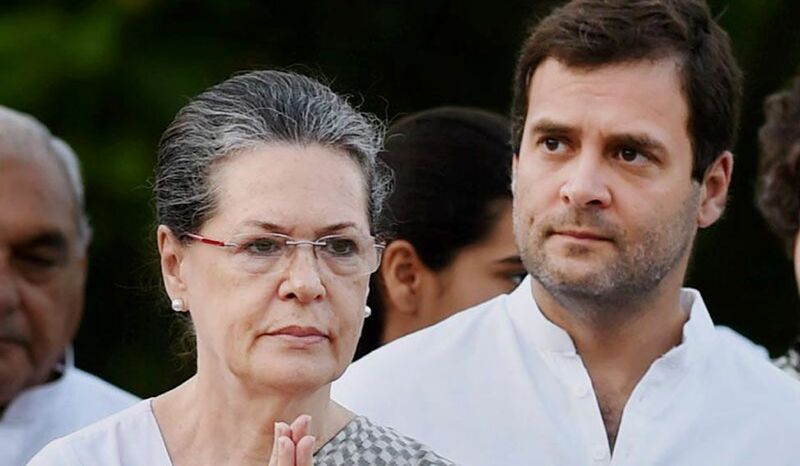 The Congress-led alliance in the State will take on the ruling Bhartiya Janta Party in the upcoming Lok Sabha Polls 2019. The BJP in the state has forged an alliance with All Jharkhand Students’ Union (AJSU) and has offered a single Lok Sabha Seat. In 2014 General Elections, Bhartiya Janta Party banking on ‘Modi Wave’ bagged 7 seats, while JMM and JVM settled for 2 Lok Sabha Seat each. While the remaining seats were bagged by Independent Candidates. Lok Sabha Polls 2019 has already begun and 91 constituencies across 20 Staes and UTs have voted on April 11 as a part of Phase-I of Voting. General Elections 2019 would spread on Seven Phases starting from April 11 to May 19. Counting of Votes and Results for the mega Battle of ballots will be announced on May 23 four days after the 7th phase of voting. Voting to 14 Lok Sabha Seats of the state will take place in four phases- April 29, May 6, May 12 and May 19.